Do you deliver 7 days a week (i.e. including weekends and public holidays)? Yes, we offer products which can be delivered on the same day in Northern Province, provided that the order is placed before 9 am (GMT+3:00). Is the Same day Express delivery free? Yes, it is free for the listed products and areas. How do I know that the order and delivery is confirmed? An email will be sent to you confirming the placement of the order and delivery date. You can track your order on the order tracking page. You can track your order on the order tracking page. 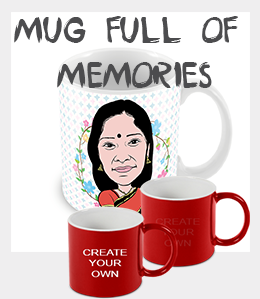 Can I send my gift anywhere in Sri Lanka? 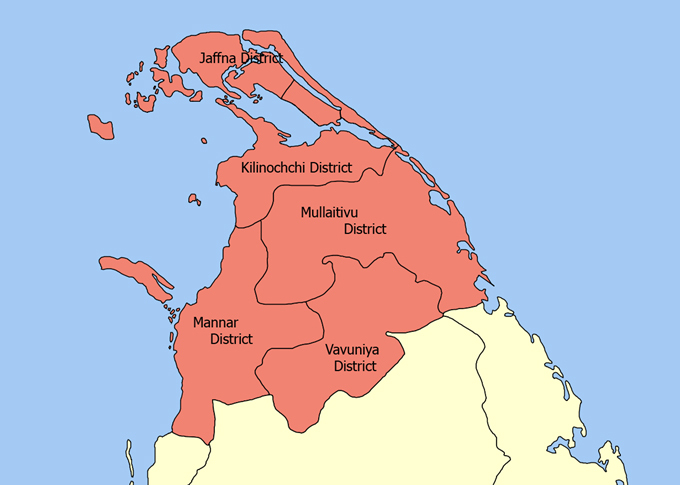 Currently, we deliver only in Northern Sri Lanka as outlined in the map below. I cannot find the delivery city in the list of cities? For further assistance email us on info@nachiyaronline.com. What if you can’t find the recipient or their address? It is mandatory to enter contact information of the recipient, so that we can clarify the address or inform them of the delivery. If we cannot contact the recipient, we will contact the sender. We take all precautions not to spoil the surprise. We use secure money transfer methods to receive the payments. You can pay via debit card, credit card or Paypal. We accept GBP £, USD $, CAD $, EUR and LKR Sri Lankan Rupees. I have a special request to be carried out at the time of delivery. How do I specify that? We have a comments box in the order page, where you can enter any special requests. We will try our best to fulfil the request. How secure is it to pay through online payment? All credit card transactions go through Paypal Pro. Your personal information and credit card numbers are never stored in our database. They are discarded right after your transaction is complete. Can I expect the flowers to be freshly wrapped as shown in picture? Yes. Our florists receive freshly harvested flowers every morning. The flowers will be wrapped and delivered as displayed on the website. Can I customize the flower order? Yes, you can make a custom order. Kindly email us on info@nachiyaronline.com for further details. What is the earliest that my orders can be delivered in Sri Lanka? Some flower products are available for same day express delivery. All other products need to be ordered at least one day before the delivery date. An email will be sent to you confirming the placement of the order and delivery date. You can track your order on the order tracking page. Click here An acknowledgement email will be sent when the product is delivered. I cannot find the city I want in the list? Kindly select the city nearest to the delivery location. For further assistance email us on info@nachiyaronline.com. Can I order for same day delivery? Yes definitely, we offer same day delivery on the orders placed before 9 am (Sri Lankan Time) on specific products.